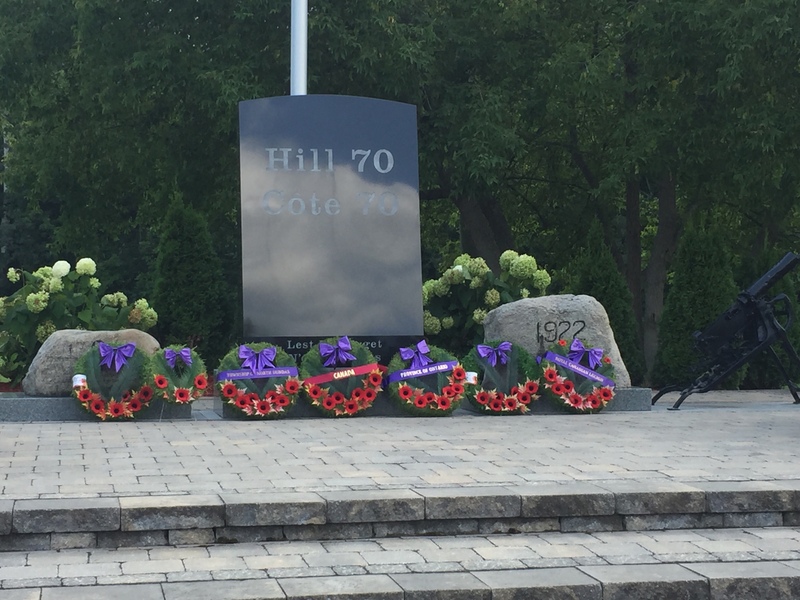 Published 2017/08/27 at 3000 × 2250 in Update to Hill 70 post below, from today’s ceremony to mark the Battle at the Hill 70 Memorial in Mountain, ON. A moving ceremony, with representatives of local military units, Legion and Lions Club Branches (who both contributed to restoring this memorial) and many others. A 6-pounder anti-tank gun from the Swords & Ploughshares Museum marked the moment of silence.